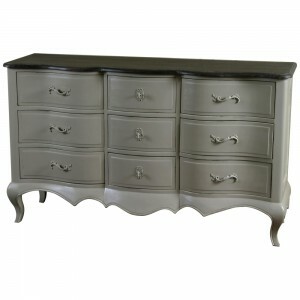 A beautiful statement piece of classic French furniture. Can be used as an excellent item of storage in a bedroom or a living area. Crafted from solid hevea with subtle lacquered finish and softened edges. 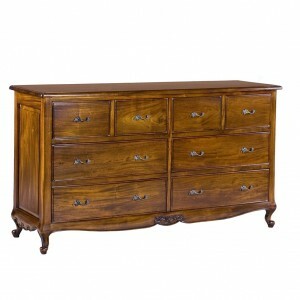 Featuring 3 small drawers above 4 large drawers.